Instead of RBI holding capital, an MoU could be signed that would require the government to pay the central bank in case of any risk. The appointment of Shaktikanta Das by Prime Minister Narendra Modi as RBI governor was expected to give the government a higher dividend. The timing of the transfer of Rs 28,000 crore as interim surplus to the government so quickly rather than wait for a year is in line with the “friendly” moves that were anticipated from Das. The timing of the transfer, just months before the Lok Sabha elections, provides the government with greater resources for this year. The transfer in itself is not wrong. The RBI’s profits, or seigniorage, belong to the government, and should be transferred to it. Earlier, the profits would be held back by the RBI to create reserves without the prior approval of the government. But at the heart of the discussion about the dividend transfer is the RBI risk capital framework. How much of its profits should the RBI hold back? A clear framework on how much capital the RBI should withhold is needed. The central bank has set up a committee, headed by former governor Bimal Jalan, to create this framework. In principal, instead of holding capital beyond Rs 5 crore that the RBI is required to under the law, it could sign a memorandum of understanding (MoU) with the government that explicitly says the latter will pay the RBI in case there is a loss on account of any risk. Central banks are different from commercial banks and they do not hold the same kind of risks. For example, consider the argument that the RBI needs to hold capital for credit risk. 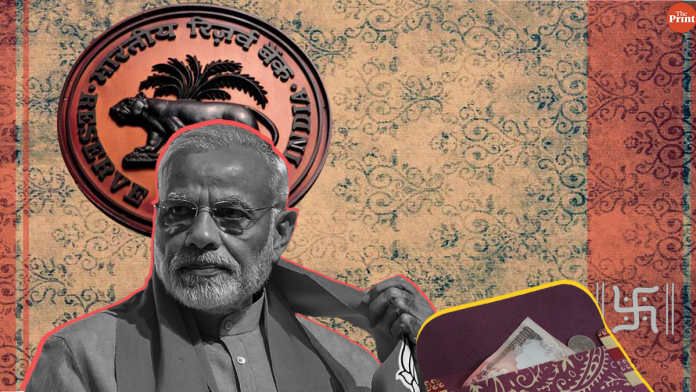 The assets held by the RBI are mainly Indian government bonds, US government’s treasury bills, International Monetary Fund’s special deposit rights, and gold. (It issues liabilities — rupees — against these assets.). Considering the position of the US dollar, gold and IMF’s SDRs in the international monetary system, these carry the least amount of risk in terms of credit risk. First, in what assets is the RBI holding this capital? It does not make much sense to hold more government bonds to hedge against losses in government bonds. Second, does the RBI have a “credit rating” that is separate from the credit rating of the government of India? If the government of India defaults, the RBI itself will have no credibility left. A central bank has no separate identity from its country. In the case of a commercial bank, when the asset is a loan, then the credit risk held by the bank relates to the risk of default by the company. Capital is held in the form of risk-free assets like central government bonds or dollars so that when the company defaults, the bank is able to pay back to its depositors. But to argue that the central bank, in its own case, must hold capital for credit risk, is not meaningful because it is holding a central government paper. Where do risks lie and how should they be managed? A central bank is more likely to make losses due to currency revaluation, than from holding the credit risk of the government. Let us turn to the magnitude of the capital to be held. A central bank holds a revaluation reserve that needs to be proportionate to what is called a probable revaluation. In the RBI’s case, its assets can shrink if the value of the dollar (in rupee terms) falls, when the rupee appreciates. The question is, how much can the rupee likely appreciate? Say, 100 per cent of the RBI’s assets are held in dollars. If the rupee appreciates by 25 per cent in one year, the RBI balance sheet will fall by 25 per cent. Considering such risks, a central bank has four options for risk management. First, it can hold only a part of its assets in dollars. Second, it can buy up dollars if the rupee starts appreciating to prevent the loss. Only as a third option, it can hold capital for the risks it is not able to manage. And finally, it can also enter into a legal agreement with the government that would transfer money to it in case of a loss. In other words, the RBI risk is not exogenous. It can manage the risks it takes and there are ways of managing the risks beyond holding capital. The discussion about the RBI risk capital framework needs to go into these considerations. The capital framework has to clearly identify the risks, how they should be managed, and then come up with a reasonable arrangement for how much the RBI should hold and how much dividend it should transfer to the central government. TV CHs are laughing all the way to Bank with center spending Tax payers’ money like water in the commercial ads fillers in between Pulgam martyrs’ “shraddhanjali” breaks showing Narendra Modi publicizing himsel and govt. schemes b4 election. Same with print media too.So where from money is going to come indeed ? I think time for review of such expenses. Shri Shaktikanta Das is the most obedient RBI Governor in living memory. Something like other Governors, who serve entirely at the pleasure of the President.